For months you’ve been churning out post after post, promoting it all over social media and slowly building your email list. Now it’s time to take your blog to the next level and turn it into a business by launching your first product or course. If you’re thinking about launching a course based on your experience, this is a great time to create one. Why a course? Because the online learning industry has been growing fast. It’s already reached over $100 billion and will continue to grow. Plus, if you don’t already know, online courses are one of the main ways bloggers make a living off their blog. 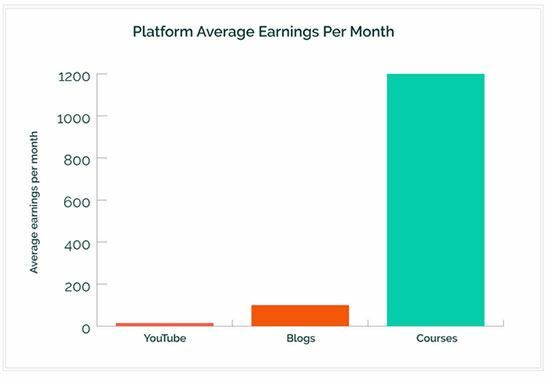 According to Teachable, an instructor generates around $5,426 hosting their course on their platform. Compare that to YouTubers making $15/month, and bloggers struggling to make even $100 from their blog. 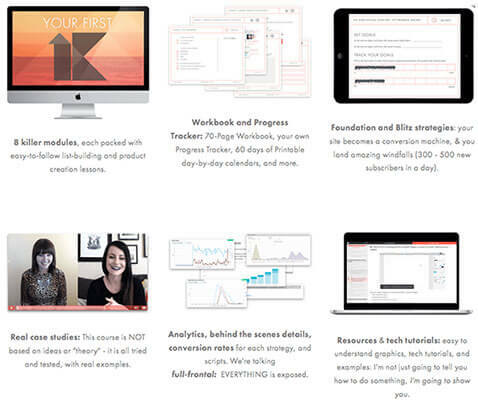 Okay, you’ve been slaving away creating your course or product and launch day is next month. Apart from finalizing everything like your marketing campaign and blogger outreach, you need to start thinking about your sales page. This bad boy is what will turn a visitor into a buyer and will help you generate the passive income you keep hearing about from other bloggers. But, as a blogger, how the heck do you write a sales page? You’re not a copywriter or a marketer, so how do you convince a new visitor that your product is what they need? The key is to have the right elements on your page. All high converting sales pages have certain elements in common and even if you’re a new blogger with a new product, you can have them on your sales page from day one. The best sales pages start off with a powerful statement. They’re usually gripping, benefit-driven and speak to their target audience. If you’re a struggling writer who’s trying to get their message out but is failing, this headline will speak to you. Yes! I want my book to be read by thousands of people. Yes! I want to finally get noticed. Headlines that cut through the noise and get to the heart of what your target audience truly wants will not only hook your readers into wanting to read more, but will also likely convince your readers that they need your product. Nathan Barry has a product for writers. It’s a book called Authority, and his headline for his sales page challenges a common belief about authors – that you can’t make a living from writing. Your headline doesn’t have to be flashy or jarring; good headlines can be simple and straightforward. Derek knows that a lot of bloggers are frustrated and overwhelmed at the thought of all the tech that’s needed to launch an online course. His headline speaks to those bloggers. Do you find yourself signing up to lead magnets or free courses when you know tons of people have vouched for it? Having social proof gives your course credibility and increases your conversions. Testimonials from buyers who enjoyed your course and succeeded as a result act as social proof on your sales page. They can also help validate your method and the strategies you present in the course. 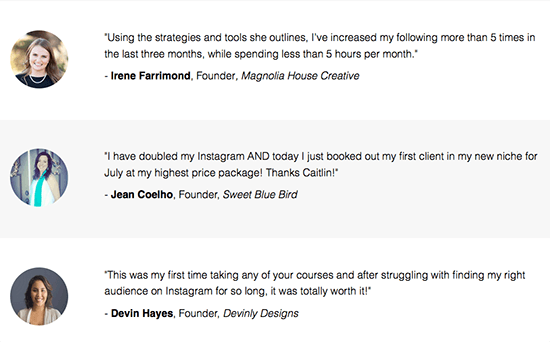 For example, testimonials for Caitlin Bacher’s Wham Bam Instagram course prove that her course actually helps people land clients using Instagram. If you want to enhance your testimonials, use video. It’s been proven time and again that people are 64% more likely to buy a product online after watching a video. And you know what? People will stay on your sales page longer because they want to watch the entire video. But what if you don’t have success stories for your course or product? I mean, you haven’t even launched it yet! The best way to gather testimonials is to have beta testers or fellow bloggers try out your product in exchange for a testimonial if they found it useful. One of the most important elements of your sales page is your call-to-action (CTA) button. What should it look like and what should it say? According to Unbounce, changing the color and shape of their client’s CTA button on product pages boosted their client’s conversion rate by almost 36%. Let’s look at some examples to get an idea of high converting CTA buttons. 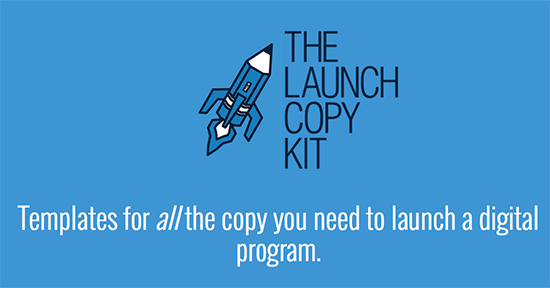 Courtney Johnston has a course called The Launch Copy Kit. What Courtney did was make sure her CTA button stood out from the rest of her sales page. She did this by using a contrasting yellow color and by breaking up her sales page by using blue and gray sections. For your sales page, use your main brand colors and choose a contrasting color that makes your CTA button easy to find if you’re scrolling or skimming. 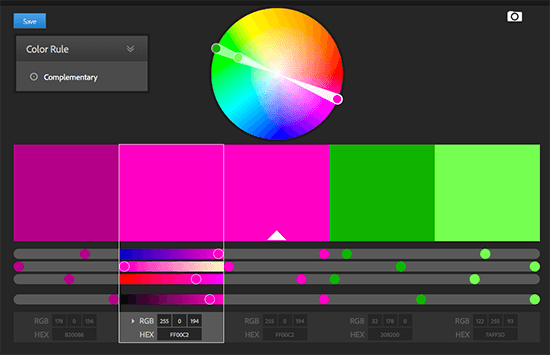 A great tool to help you find the perfect contrasting color is Adobe Color CC. Just put in your brand color and change the settings to Complementary to see what colors might be a good choice. Here’s another example. OptimizePress is a WordPress plugin. Let’s look at their landing page and CTA button. What do you notice about the CTA button? It’s big! If your CTA button is too small, no one will see it. So, to make sure your visitors actually see your button, make it big. Of course, don’t make it too big; use your discretion. Research has shown that changing the button copy from the second person (“get your eBook”) to the first person (“get my eBook) increased click through rate by 90%. For example, on my sales page for my freelance writing course, I’ve had success using first person button copy. You can use first person copy not only on your sales page, but also on your lead magnet or in your CTA for your blog posts. Visual representations are incredibly powerful conversion tools that you can readily use on a sales page. Things like video, diagrams or charts not only break up your copy, but also show visitors what the results look like after using your product. And when more than half of the population are visual learners, it makes sense to use visuals to your advantage. Let’s look at the different ways you can incorporate visuals on your sales page. A digital product, like a course, can be hard for buyers to visualize. Worksheets, course books and checklists just aren’t that appealing. What many bloggers and entrepreneurs are doing to demonstrate their product is to use a mockup. 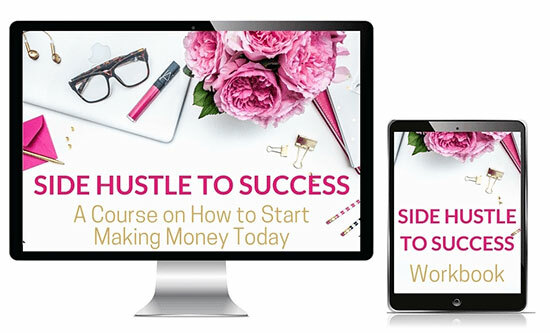 For example, Kristin of Believe in a Budget uses this beautiful mockup of her latest course, Side Hustle to Success. Charts work great for showcasing results before and after using your product. They don’t have to be complicated; rather, they just have to show a big improvement to help convert a visitor. 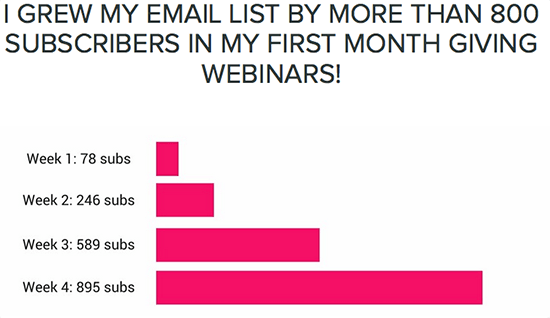 For example, Brie Beeks’ sales page for her course, Budgeting Beginners on Air, shows a simple chart of her email list growth after using webinars, giving readers a visual representation of what their list could look like if they buy her course. 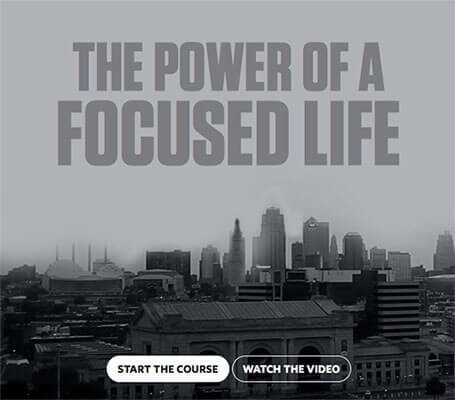 Shawn Blanc’s The Focus Course sales page uses images and video to help convey his message to creatives who struggle to balance work and life. He also has a video of himself talking about his course later on down the page and a video walkthrough of The Focus Course. You want people to buy your product, right? Well, the best way to transition them from a looky-loo into a buyer is to show them exactly what they’re getting when they purchase your product. The best way to convey this, if you have a course, is to provide the class curriculum, including any bonus material or extra guides that are part of the package. If you host your course on Teachable, you’ll easily be able to showcase all the modules and lessons. People like to see the value they’ll get when they invest in your product, so make sure you use compelling visuals. Here’s what will truly help turn visitors into buyers. It’s your copy, and there are three elements you need to have on your sales page. A successful product or course launch occurs because the product creator zeroed in on their buyer’s pain points. These are the frustrations, worries, and headaches your buyers have over a particular problem. For many, the problem is that they’re starved of money or time. For others, it’s education or skillset that they lack. So, when writing your sales page copy, try to tap into your buyer’s pain points. Jeff Goins does a great job of this on his Tribe Writers sales page. He speaks directly to his target audience of struggling writers. A lot of bloggers create their product and can’t wait to tell everyone about it, but end up talking about the features, rather than the benefits. What does this mean? It means, instead of showcasing how your product can help your target buyer, you mention things about your product like how advanced it is, or how the new format makes it easier to read or download. And while you’re gung-ho about how you’re delivering your course via email – or that it’s fifty-two lessons packed full of useful tips and strategies – all your readers want to know is how it will help them. What will they get out of your product? For example, Sean Wes’ course sales page, Learn Lettering 2.0, starts off with the benefits of taking his course. By immediately telling visitors what they will gain from using your product, you make it much easier for them to imagine buying and using your product. We talked a bit about how important it is to highlight the pain points of your buyers on your sales page. What’s even more important is positioning your product as the solution to your buyers’ problems. A lot of people may not know they have a problem, and they certainly don’t know that your product will be the solution to their issues. So, make it easy by telling a story that relates to your buyers and then offering up a solution – your product. For example, on Melyssa Griffin’s sales page for her course, List Surge, she hits the pain points that many bloggers and entrepreneurs have in growing their list. She goes on to show proof that she’s credible at helping you grow your list. Then she presents the solution – her course. With all the right elements for your sales page, the only thing left is designing it. 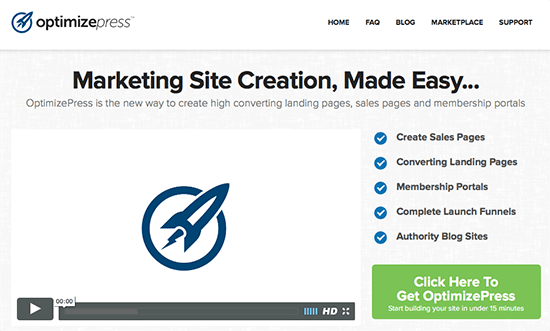 If you’re hosting your sales page on your own domain, consider using a landing page plugin to help you get started. Thrive Architect is an affordable option for WordPress users. You get access to over 160 high converting and optimized templates that are easy to use – and you can create them right from your WordPress website. Thrive gives you all the tools you need to customize your landing page or to build one from scratch. And with a drag-and-drop editor to add your touch and style to your sales page, you’ll have a highly optimized page within minutes. Templates are designed in sets, so you can create a consistently designed sales funnel. You can also this plugin for any custom page or post layouts since it’s a page builder plugin. Price for use on a single site is only $67 which includes lifetime updates and 12 months support. Note: there is now an add-on for Thrive Architect that enables A/B testing on your site. Click here to learn more. 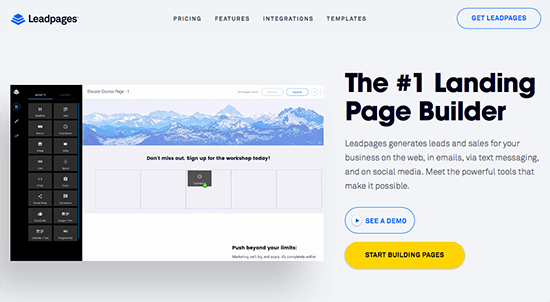 Leadpages is a landing page builder with over 100 templates of high converting pages to choose from for your landing page, sales page, thank you page and more. And it’s super easy to set up your sales page with their sales page templates. You can customize them to fit your brand and style by adding your logo and choosing your own fonts. The main benefit over Thrive Architect is that you aren’t restricted to WordPress. And certain plans have A/B split testing built in which is great for boosting conversions. Congrats! You’ve finally moved from hobby blogger to professional blogger. Creating a product is both exhilarating and time-consuming. 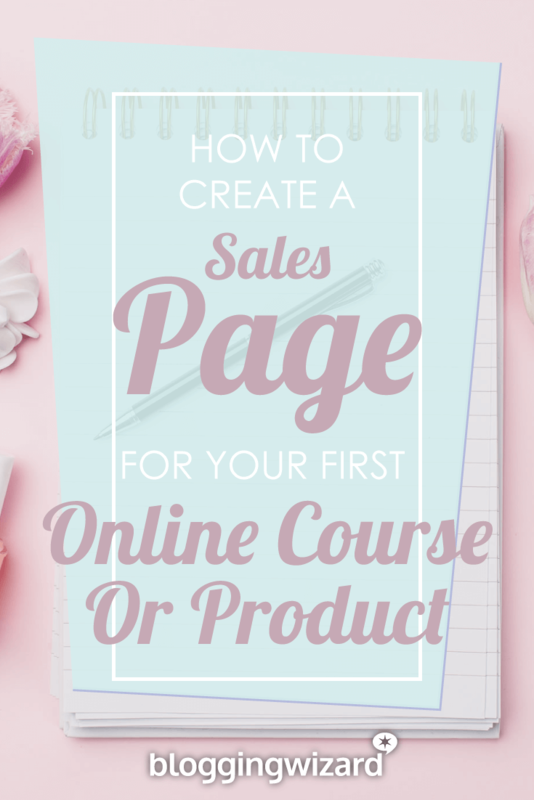 One of the last things to do before you launch is to create your sales page. The sales page is what will help you convert visitors to buyers. If you include core elements like testimonials for social proof, a compelling headline to hook your readers, and copy that highlights the pain points of your buyers, you’ll have a winning sales page. 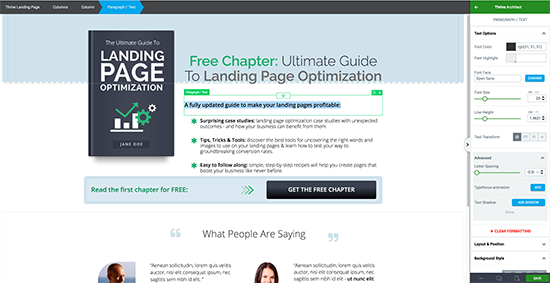 Add in a landing page plugin to help you optimize your sales page and you’ll have no problem consistently converting your visitors into buyers. 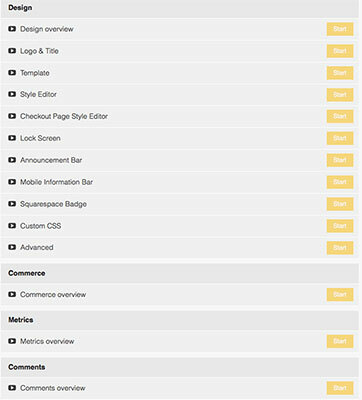 8 Great Page Builder Plugins For WordPress: Design Made Easy. The 5 Stages Of The Blog Sales Funnel And How To Use Them.